Kenya Air Traffic Controllers’ Association has warned flight in and out of Addis Ababa are not safe. In a communiqué dated August 30, Association President Peter Ang’awa says they are deeply concerned with a number of serious safety issues they have noted in the past few days after their Ethiopian counterparts went on strike. “Letters of agreement between Addis Ababa and Nairobi on co-ordination procedures are not being followed. 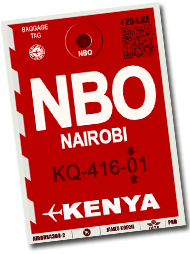 Flights inbound to Nairobi from Addis Ababa are calling Nairobi Control without prior estimates, with the possibility of creating serious air-misses with known traffic at the transfer point,” he said. He added that there have been several incidences of loss of standard separation between aircrafts at the points of transfers. “There has been one serious TCAS RA between Ethiopian Airline Flights (ETH858), B737 and a Moonflower (NOS252), both maintaining FL360 with no prior coordination and no estimates from Addis Ababa control,” he added. The flights, he says, are entering the Nairobi airspace with wrong flight levels. "Some Eastbound flights are coming in with westbound flight levels while some Westbound flights have Eastbound levels increasing chances of serious air misses." According to Ethiopian news site Garda.com air traffic controllers at Ethiopia's Civil Aviation Authority planned to stage the demonstrations from Monday August 27. It added that they were agitating for better working conditions. This is as African Aerospace Online News Service reported that Ethiopian Airlines announced that will have no effect on its operations. “Ethiopian will ensure that, above all else, the interests of its esteemed customers are protected and their flights operate smoothly and on-time,” the report added. Industrial strikes are very rare in Ethiopia, one of Africa’s fast growing economy. The wages and salaries of most public workers is still low compared to most countries. Kenya Air Traffic Controllers’ Association has called on all parties in the standoff to resolve the issue quickly to normalise operations.